As a five year old growing up in Morton Grove, Illinois, Dawn knew that being a zoo keeper was what she wanted to pursue as her future profession. During school field trips to Lincoln Park Zoo, she imaged herself taking care of the animals. When she visited Brookfield Zoo she thought the “huge formal grounds seemed novel and exotic”. Those early years formed the foundation from which she built a 19 year career as a Zoo Keeper at Brookfield Zoo. 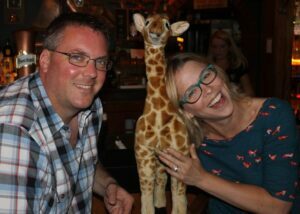 Dawn with her husband at the Brookfield AAZK Longnecks for Longnecks fund raiser. The road to her dreams started with a solid education at Western Illinois University in Macomb, Illinois. There she earned a Bachelor Degree in Biology. After graduation she began her search for her dream job while working for an accounting firm, a post-graduate college of thoracic surgeons and in a dental office assisting the dentists. She knew however that she wanted to realize her childhood goal and landed a job as seasonal keeper in 1995 in Brookfield Zoos Children’s Zoo. After working in that position for two years she moved to Tropic World as a seasonal keeper in the Asia and Africa section. From that seasonal position she was hired as a full time keeper in 1998 working with in the South American Section. 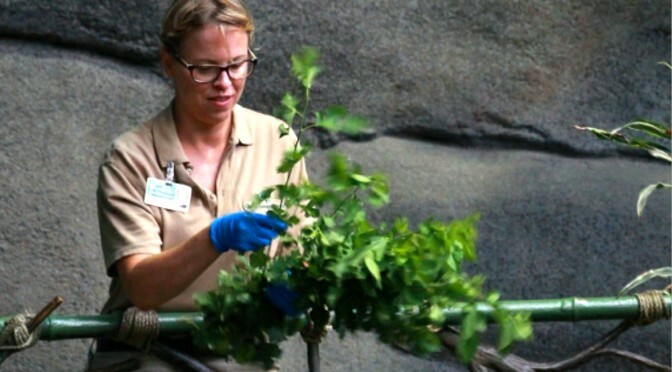 Throughout Dawn’s career at Brookfield Zoo she has participated in a variety of activities including: working with her department to organize a huge Ape Conference, being a departmental safety representative, and mentoring Brookfield Zoo’s Youth Scholar (high school age) volunteers and departmental interns. She is also in a departmental “fun committee” which organizes simple, fun activities for the staff to learn about things around the zoo – or as she says, “just eat ice cream”. Her participation also included a trip to Australia in 1997 with a group of zoo volunteers and staff. While spending two weeks in South Australia they helped paint signs, mend fences, survey invasive plants, drill for water samples, and much more at several National Trusts (Parks), including the Brookfield Conservation Park, a 13,674 acre property north-east of Adelaide in the Riverland region of South Australia, where wild wombats can be seen. Dawn’s affiliation with AAZK started back in the late 90’s when she joined the National organization, but was not affiliated with any local chapter. Brookfield AAZK began in 1974, but the chapter status lapsed in the 1990’s. So back in 2005, Dawn and two other Brookfield Zoo keepers reinstated the Brookfield AAZK chapter. 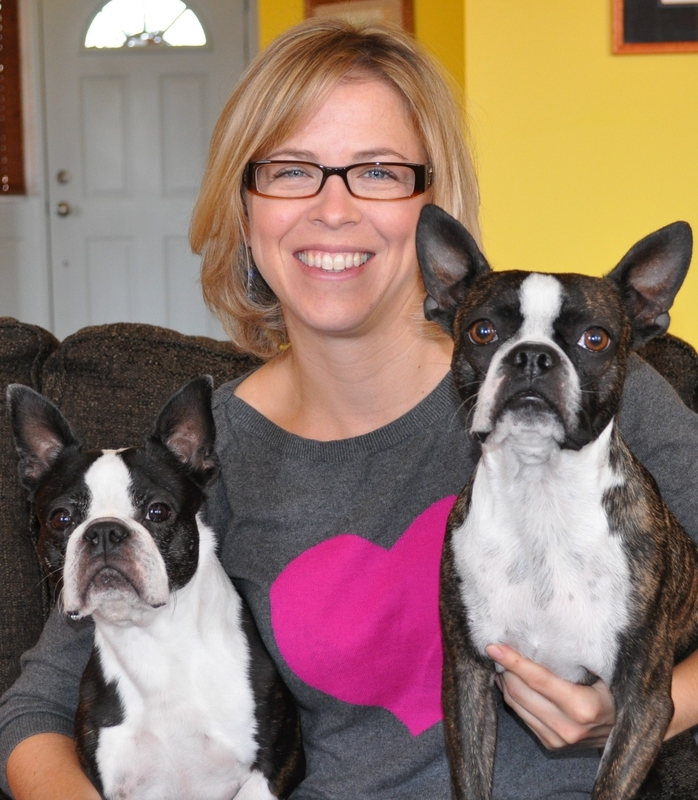 As a member she held the position of Chapter President for a number of years and is the current Vice President, a position she has held for two years. Does she have a favorite Brookfield AAZK event? Well that question was easy. She likes them all! Each event has its own individual beneficiary, but all are geared to provide the many people that care for animals either in zoos or in the wild with the funds and knowledge necessary to make the animals lives better. Outside of the zoo Dawn loves to travel throughout the United States and abroad. Prerequisite before every trip she “drags her husband on”, is research on bird watching and establishments serving local food. Food and preparing food is another of her passions. Her entire family (including Mom, two Sisters, Mother-In-Law, Sister-In-Law, and their families) are the lucky recipients of her various recipes. They are “as supportive of the food I make for them as they are of my pursuit of zoo keeping”. And of course there is Queenie and Bacon. High on Dawn’s “Top 10” list, these little Boston Terrier cuties are her babies and part of her “branding”! We would agree.